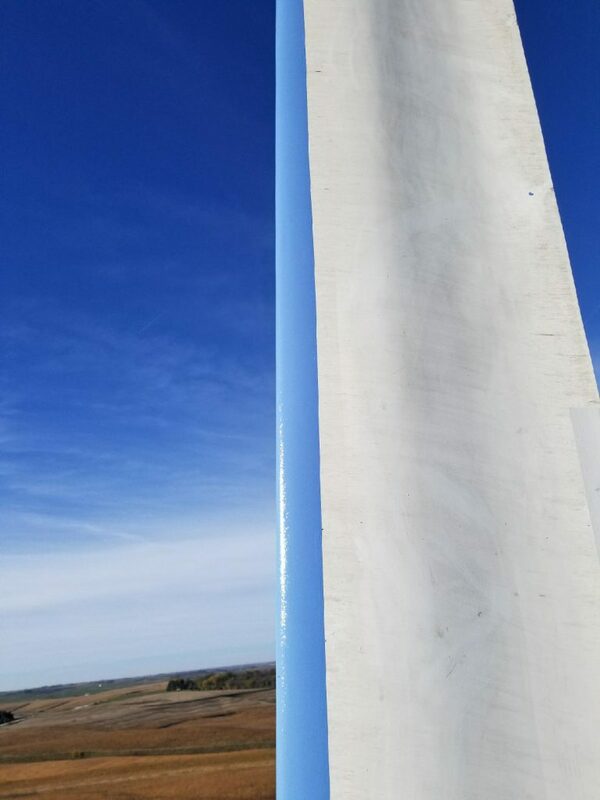 At a wind farm in Iowa, U.S, some of the turbines’ blades were experiencing leading edge damage. The Project Manager in charge of the farm wanted a long-term leading edge protection (LEP) solution which could repair and protect them. 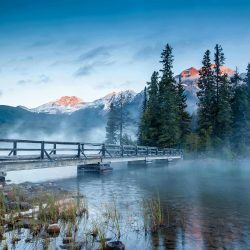 Downtime was a critical factor and the unpredictable October weather meant that an easy-to-apply system was vital. The Technical Consultant who provided the Belzona solution was Frank Atzeni from Molecular Repair Concepts. 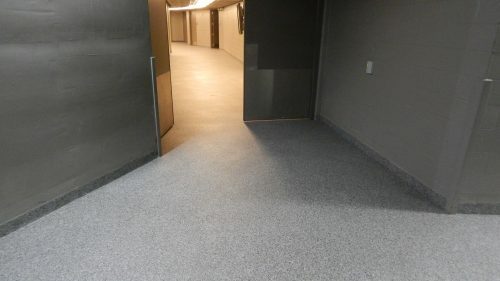 Taking into account the weather conditions, Frank specified Belzona 1341 (Supermetalglide) to the Project Manager. 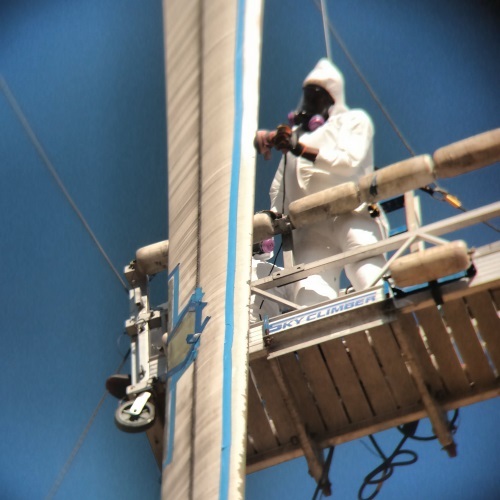 This material was chosen due to its positive results from internal Belzona testing. 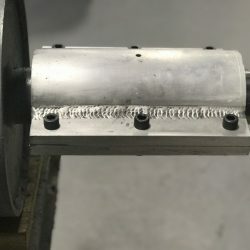 Additionally, it is cold-curing, which means there is no need to externally heat it and consequently it can easily be applied in situ on turbine blades. 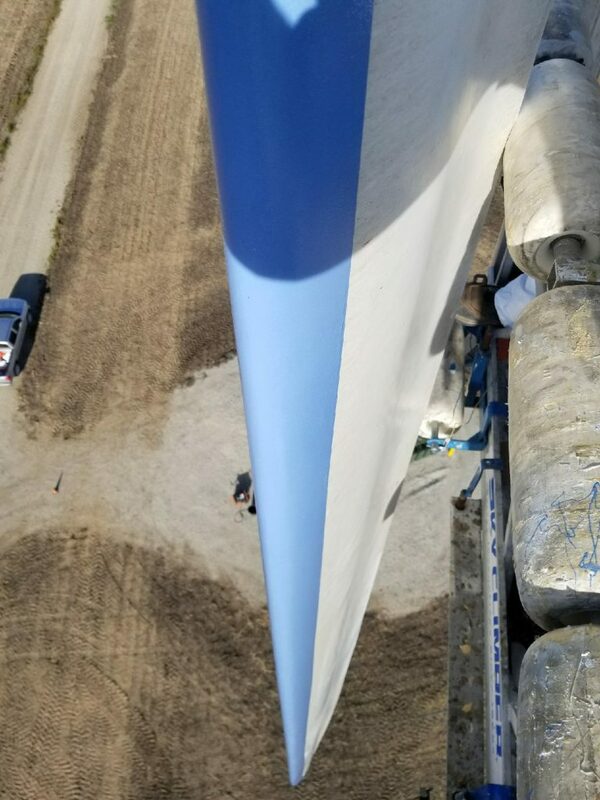 However, because the wind farm’s Project Manager wanted documented results before fully investing and purchasing a LEP product, as an initial trial period, Belzona 1341 was applied to a single turbine to verify its performance capabilities. 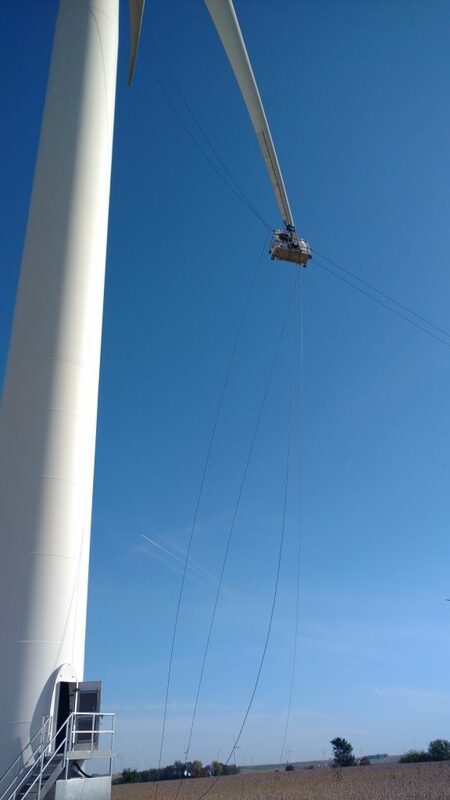 A high quality LEP coating is critical in the Wind Power industry. 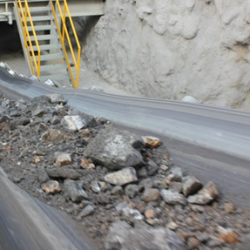 Without suitable protection, several impact and abrasion factors can cause substantial erosion and pitting to blades. Then, a pitted substrate can experience vibration, which may even cause issues within other parts of the turbine. Consequently, should a blade be left unprotected, its energy production and life expectancy can be significantly reduced. Belzona 1341 is a high-performance brush-or spray-applied coating which effectively protects metals from the effects of erosion-corrosion. 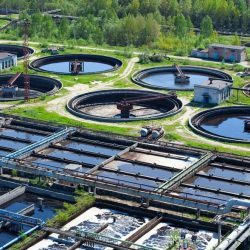 Although originally designed for fluid handling equipment, this material has since been used on different machinery and structures all around the world. As with many Belzona systems, its potential for many types of industries are limitless. In part, this is thanks to Belzona 1341’s outstanding properties. Internal testing has proven the material to be 15 times smoother than polished stainless steel. As well as this, it has excellent adhesion properties – when conducting internal testing, Belzona has found that its adhesive strength is greater than the cohesive strength of the substrate. The application of Belzona 1341 took place at the end of October 2017. 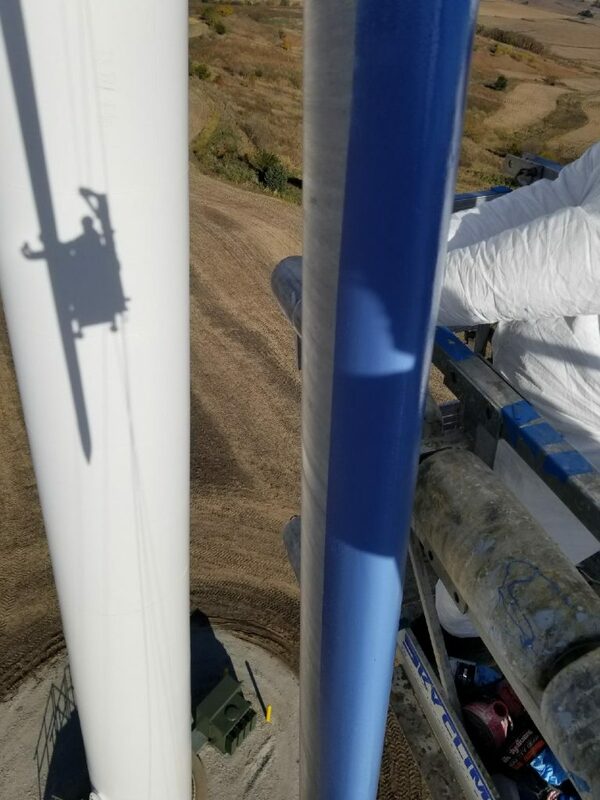 To access the blades, a suspended platform system from a nationwide Contractor – Sky Climbers – was used. . Before the application of the LEP coating, the pitted substrate was resurfaced with a filler product to rebuild it to the correct dimensions. Then upon drying, this surface was sanded and cleaned before a thick coat of Belzona 1341 was applied in the designated area. 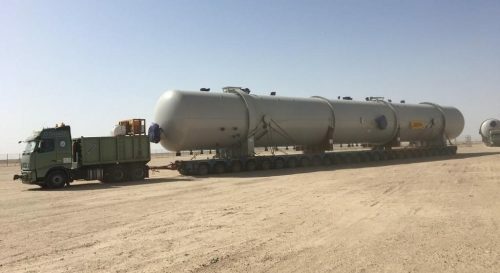 Because of the cold weather – which was only around 58-65°F (14-18°C) – the decision was made to warm up the solution, to make the application easier. 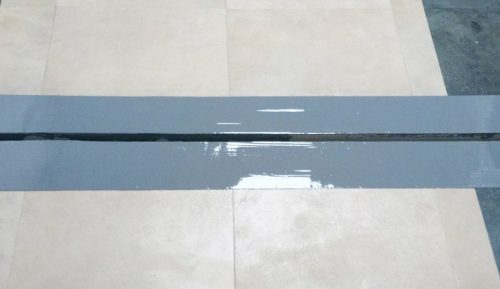 After heating the Belzona 1341 to 80-85°F (26-29°C), it was very smooth to apply by roller and only required one thick coat without slump or sagging. All in all, the Project Manager was highly impressed with how easy and user-friendly the Belzona application was. Another benefit of the Belzona solution was the fact that it came in 500g module packaging. This made measuring and mixing, whilst on a suspended platform, practical and easy. It was also the perfect amount for necessary coverage for the blades. 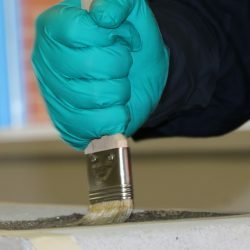 As for the performance of the coating, to date the coating is performing perfectly, with official test data being collected over the next few months. 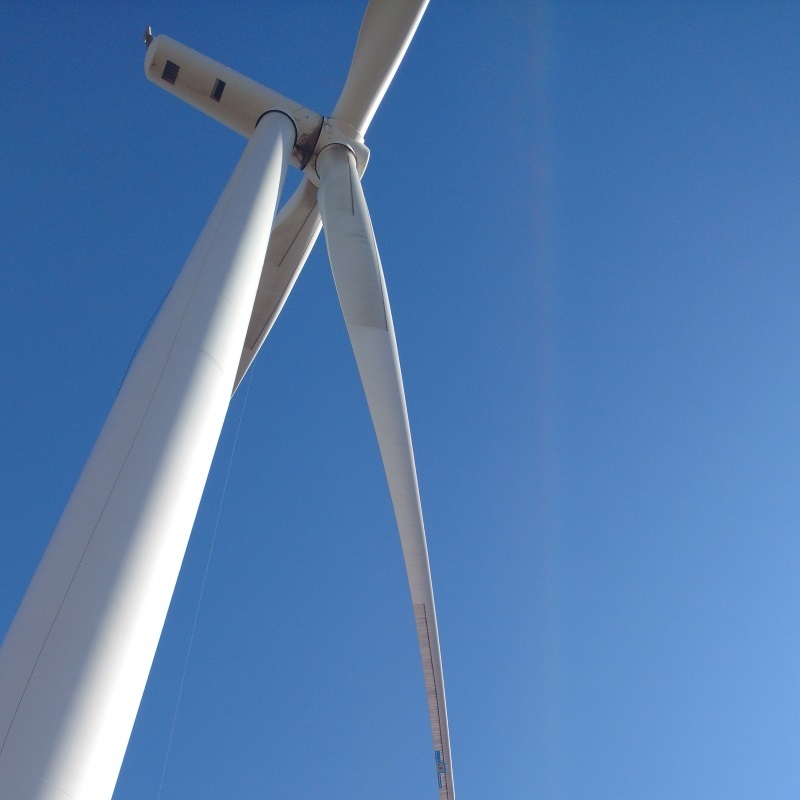 The external testing data collected on this application will play a major factor in whether the Project Manager decides to employ the coating across the wind farm. However, already this material has been used successfully to protect the leading edge of many turbines around the world. One example of this is in Quebec, Canada, where a wind farm’s turbines had been suffering from leading edge erosion, compromising their performance and energy output. 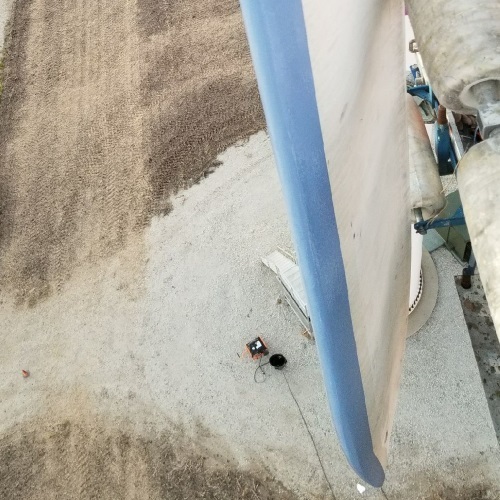 In total, 60 turbine blades were coated by Belzona 1341 which was once again favoured due to its ease of application which saved the customer labour and time. Click HERE for further information on this application. Going forward, there is great potential for Wind Power all around the world. It is skyrocketing so quickly, by 2020 is estimated to be the largest source of renewable energy in Europe. Similarly, its popularity is also growing in Iowa, with three new wind farms opening this Spring, to join the hundreds already in operation. 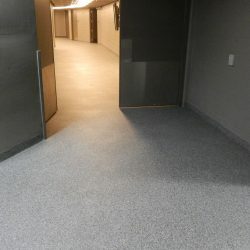 Therefore, the importance of a high-quality and easy-to-apply LEP coating has never been more important to keep up with the demand from this blossoming industry. Contact us for assistance with your maintenance plan. This is extremely informative. I will certainly pass this information along to my potential customers. Thanks so much for your comment and reading our Blog!